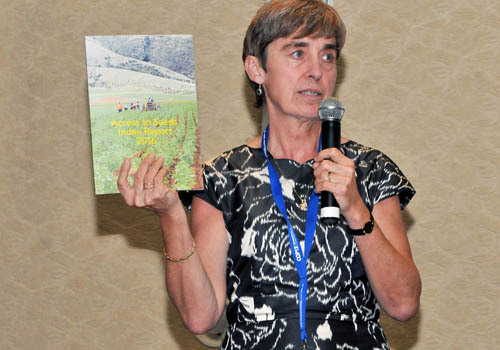 Coosje Hoogendoorn, Head of Research of the Access to Seeds Foundation, presented the Access to Seeds Index Report at the UN Biodiversity Conference in Cancun on 5 December 2016. The Index compares global seed companies’ actions to make improved seeds available to smallholder farmers and to share best practices. The presentation was part of a European Commission and Bioversity Side Event on ‘Mainstreaming Agrobiodiversity in Sustainable Food Systems’.